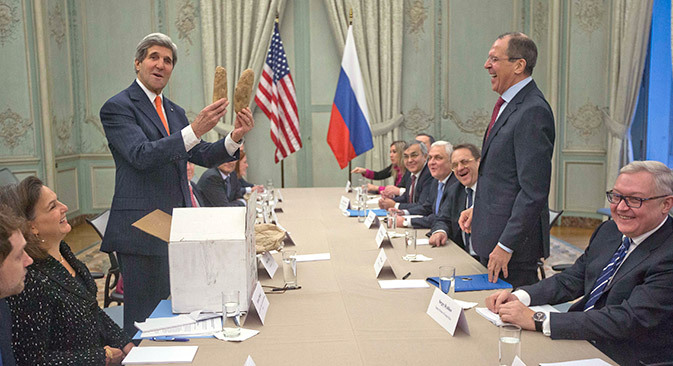 US State Secretary John Kerry and Russia’s Foreign Minister Sergei Lavrov exchanged New Year gifts at their talks in Paris and joined hands to remove hurdles for Syrian peace conference, scheduled for the next week in Switzerland. What is not yet settled is the participation of Syrian opposition and inviting Iran. For the first time Russia-EU summit meeting, scheduled for the end of January would be held in a scrappy format due to disagreements on Ukraine plus some other bottlenecks, Kommersant daily reported, quoting well-informed Russian and EU diplomatic sources. Israel paid last tribute to its outstanding leader and decorated war hero, whose life is seen as an integral part of the turbulent history of the modern Jewish state. However, part of the Arab world welcomed the news of his death, calling late Sharon a “butcher”.